The two new colony starts will be here Sunday, so today we set up their new hives. We are choosing to go with the more shallow Western boxes as they hold about 55 pounds compared to 80 which is just too heavy. As soon as they are happy in their new home, we will add more boxes, one at a time, depending on how the flowers, weather and all go. 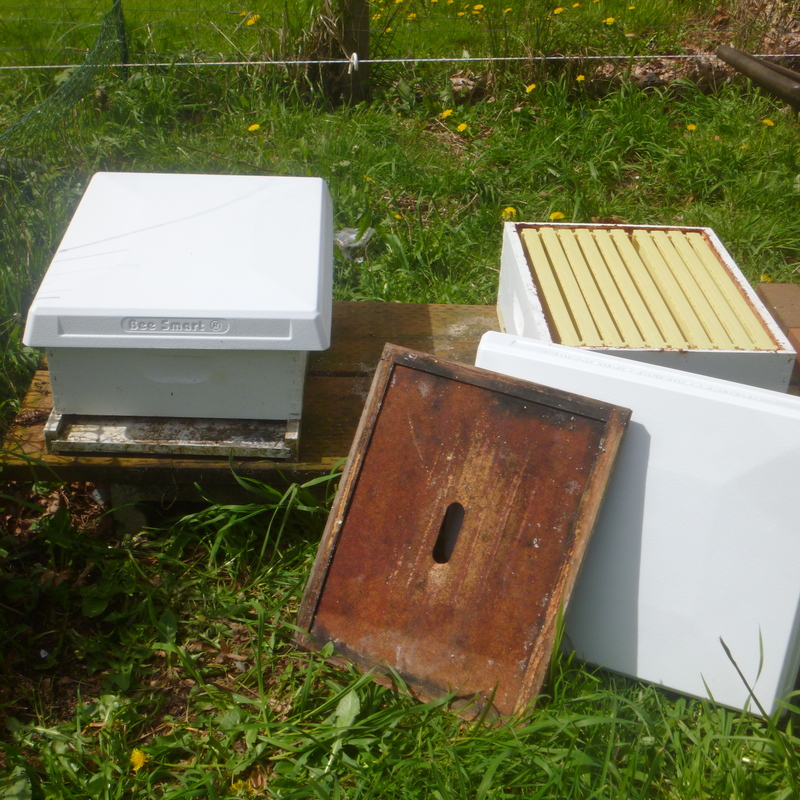 Then off to extract honey from the hives whose colonies did not make it through the winter. 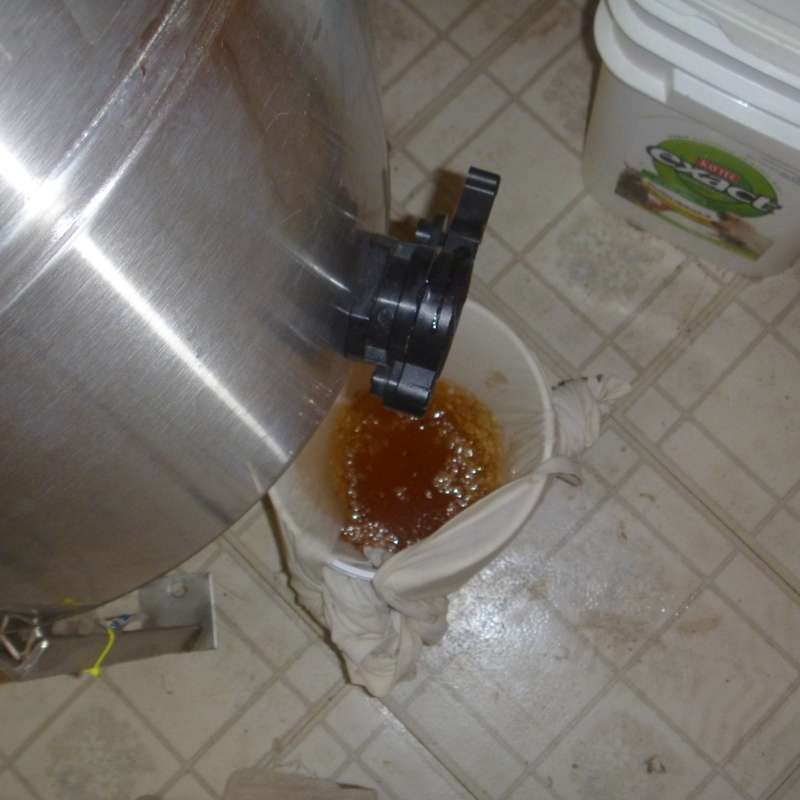 There wasn’t much extra honey. It appears one colony starved to death and I’m not sure what happened to the other. Maybe the same thing. 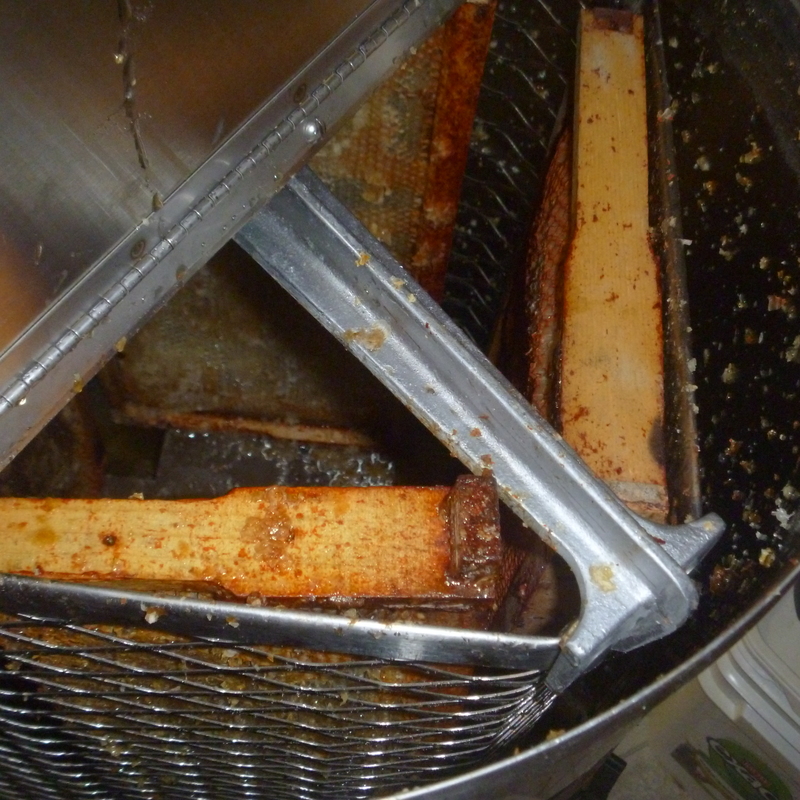 No bees in either and very little honey stores. 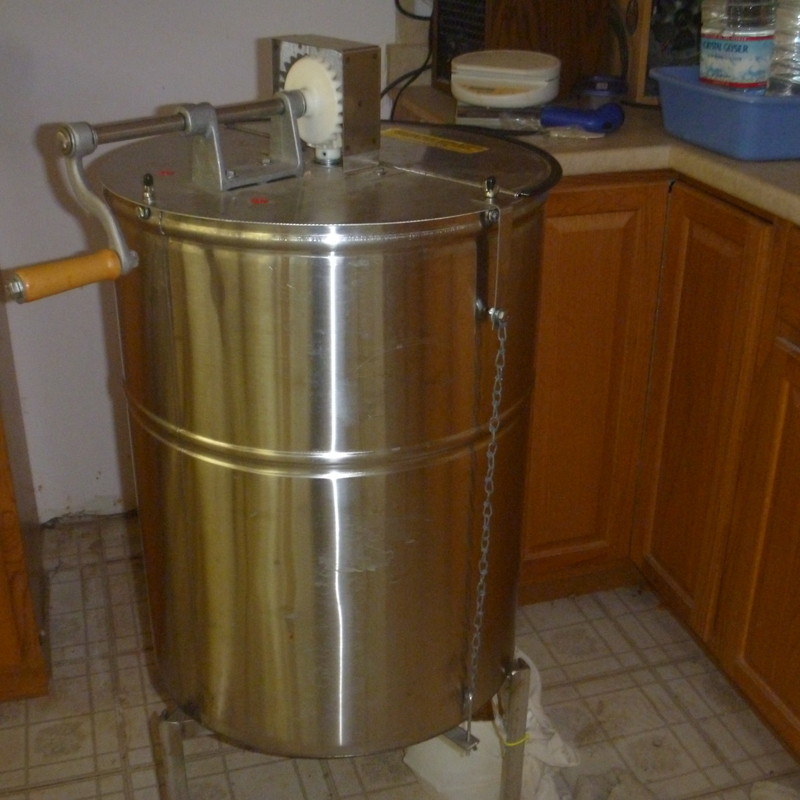 Here is how we get the honey out. 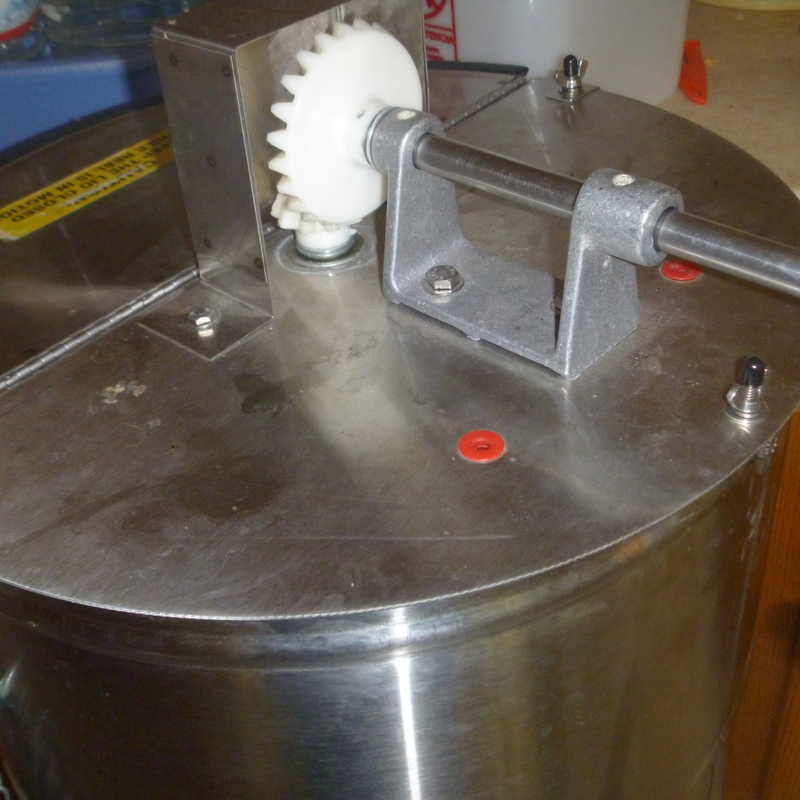 We go round and round and round with the handle and using centrifugal force, the honey appears out the bottom of the canister. After the round and round part, we take a break. Tomorrow, we will finish it up and clean it all up for end of summer again. Hopefully we will have the motor on for next time. Now the relaxing part was to do this month’s block for the Aurofil BOM. 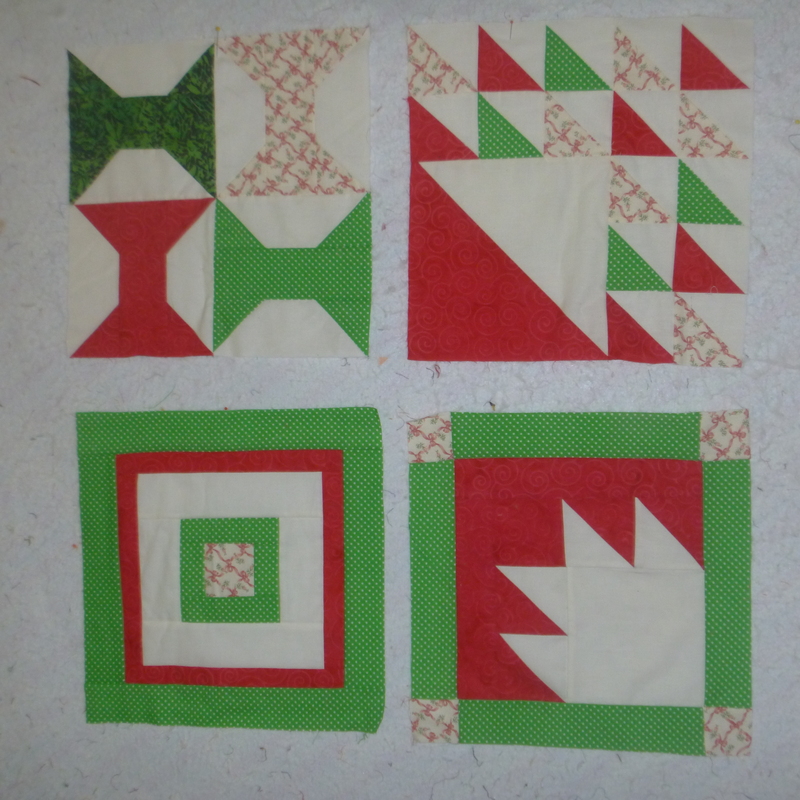 These are the blocks so far.